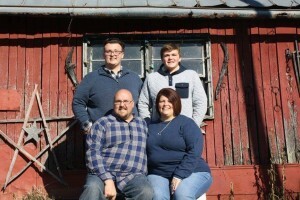 James “Jamie” W. Watkins, age 42 of Flemingsburg, beloved husband of Christy Watkins, passed away unexpectedly on Thursday, April 4, 2019. Jamie was born in Maysville on October 18, 1976, the son of James “Push-Up” and Edna Watkins of Fleming County. Jamie was the minister at Elizaville Christian Church and a counselor at Belle Grove Springs Rehab Center in Fleming County. 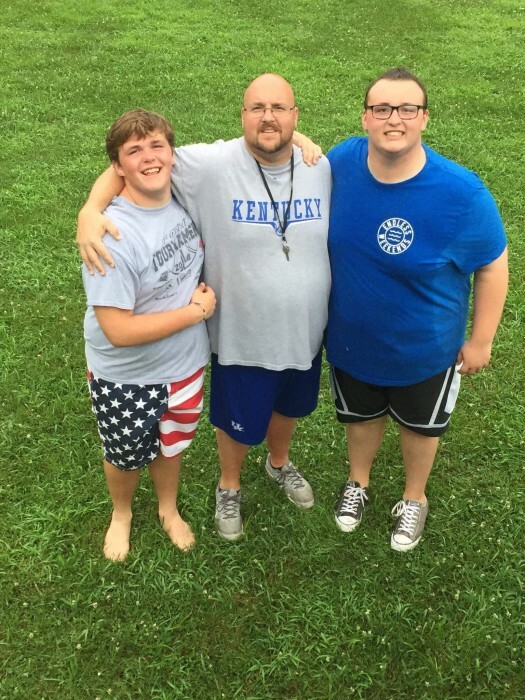 A love for Fleming County sports and its youth, Jamie could be seen either coaching at a little league baseball game or volunteering or cheering on the sidelines. Jamie also served on Site Based Decision Making Boards at all three schools in Flemingsburg, currently at Fleming County High School. He was also a former Fleming County Board of Education board member. Jamie’s love for Fleming County and its youth was evident everywhere he went. He organized Lunch Bunch programs at Ward and Ewing Elementary schools and had prayer breakfast every Wednesday morning at McDonald’s with a group of young Christian students. Jamie was the “dad” that all of his son’s friends loved to be around and was often in the middle of their activities. Jamie’s motto was “It’s as simple as this, love God, love people”. Jamie was quiet in his demeanor, but his actions in taking steps to help others everyday spoke volumes to what a wonderful, Christian man he was. Besides his wife he cherished, and loving parents, he is survived by: two sons who were the heartbeat of his life, Nathanael and Daniel Watkins; his sister, Regina (Richard) Hardymon of Fleming County; a brother, Billy (Carol) Hart of Fleming County; his “special brother”, Thurman (Jennifer) Paige of Fleming County; and several nieces, nephews, and cousins. He was preceded in death by: a brother, Glenn Harris; and maternal and paternal grandparents. Funeral services for Jamie will be held at 11:00 am Monday, April 8, 2019 at Elizaville Christian Church officiated by his father-in-law, Bill Teegarden. Visitation will be 4-8 pm Sunday, April 7th at the Elizaville Christian Church. Burial will be in Fleming County Cemetery. Serving as pallbearers will be Thurman Paige, Rob Conn, Shawn Emmons, Jeff Schwartz, Ricky Hurst, and Caleb Hardymon. Honorary pallbearers will be the Elizaville Christian Church Youth Group that Jamie mentored. Memorials are suggested to the Belle Grove Rehab Center, Stockton Rd., Wallingford, KY 41093. Carpenter-Fritz & Vice Funeral Home is in care of funeral arrangements.